Have you ever been to Jeju Island? Probably not, unless you’re Korean. But travelers who go there are flying the world’s busiest air route. Jeju is off the southern tip of the Korean peninsula; it’s got lots of beach resorts, a dormant volcano and a miles-long natural cave. 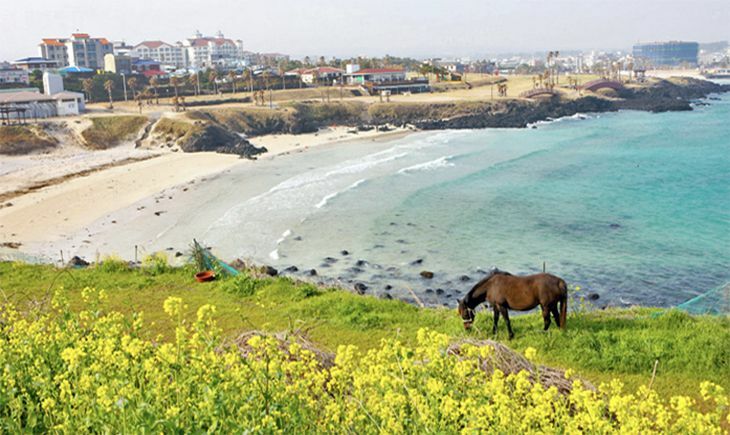 It’s a favorite vacation spot for Koreans who want to get away from the hustle and bustle of the capital city, and in July 2017, almost 1.3 million persons flew between Jeju and Seoul (not Seoul Incheon, but Seoul Gimpo, nine miles west of the city). A new study by Routesonline.com found that those passengers were accommodated on more than 5,800 flights between the two airports during July, or an average of 189 flights a day. The study determined the world’s busiest air routes in terms of passenger numbers, and of the top 20, exactly none were in North America, Europe or South America. Almost all of them were in the Asia-Pacific region, mostly on domestic routes. The third-busiest route worldwide during July was one more likely to see Western travelers: Melbourne to Sydney’s Kingsford Smith Airport. 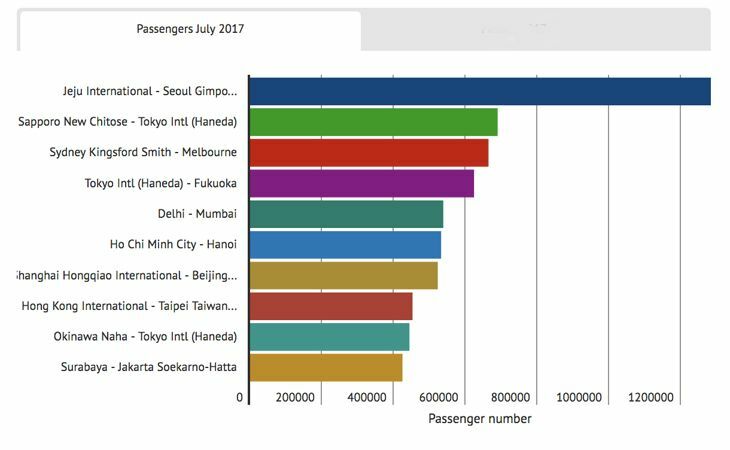 Rounding out the top 10 routes in passenger numbers were Tokyo Haneda-Fukuoka in Japan; Delhi-Mumbai in India; Ho Chi Minh City (Saigon)-Hanoi in Vietnam; Shanghai Hongqiao-Beijing in China; Hong Kong-Taipei; Okinawa-Tokyo Haneda; and an Indonesian route, Jakarta-Surabaya. What are the busiest routes in the US? 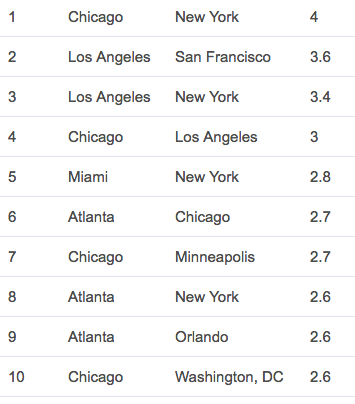 We could not find a study that showed just July numbers like the one above, but World Atlas provides this list of the USA’s busiest over the full year from Aug 2014-Aug 2015– in millions of passengers. It’s probably not changed much since then.